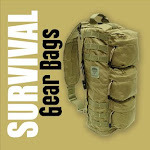 Austere Provisions Company is a fairly new survival gear company that is located very close to me. On their Facebook page they are doing a gear prize giveaway when they reach 762 (as in 7.62 mm) fans. They've still got a few to go, so give them a visit and "like" them to be entered in the drawing. Please mention to them that you heard about them here at If It Hits The Fan. 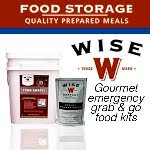 Also visit their on-line store at AustereProvisions.com for a wide variety of tactical and survival gear. Maybe it's my computer but their site takes forever to load. I've tried it off their link from their FB page as well as your link above. Is anyone else having issues with their site? Your above link just sat there doing nothing. When I cut the URL back to the basics it came up just fine. Ijust tried it and it worked just fine. Pretty fast for me, actually. I really like your blog.I honestly believe there is a skill to writing articles that only very few posses and yes you got it. This is really informative and I will for sure refer my friends the same. Thanks. Thanks, Rothco! I appreciate the kind words. I'm a big fan of your gear and have quite a few things of yours.